I've been addicted to this series. Seriously addicted. I loved 'Asylum' Season 2 from the anthology that is American Horror Story. This has been Season 3 (shown on UK channel Fox). Based around Miss Robichaux's Academy in New Orleans, Louisiana. Cordelia Foxx (played by Sarah Paulson) is the school's headmistress, and keeps the young coven in order. Which is plain sailing until her mother and current supreme Fiona (Jessica Lange) turns up. Fiona can feel her life force slipping away and her bright days fading as a new supreme starts to emerge. Taissa Farmiga returns, after skipping last year's episodes, as Zoe. The teenager is packed off after discovering that she has a deadly affliction that is only found in witches. Arriving at the school Zoe is met by troubled child star and telekinetic movie start Maddison Montogomery (Emma Roberts), human voodoo doll and aggressive Queenie (Precious star Gabourey Sidibe), and enigmatic clairvoyant Nan (Jamie Brewer). In the first episode Maddison and Zoe take a trip out from the house to blow off some steam, and partake in a frat party. When the party takes a nasty turn when Maddison is gang raped, and in revenge she flips the frat boys' bus killing those on board. Including Evan Peter's character, to whom Zoe has taken a shine. To make amends Maddison turns Frankenstein and pieces together body parts before reviving the newly formed Kyle. 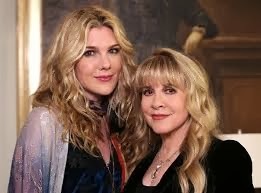 Which leads us to the wonderful Misty (Lily Rabe). I adored this girl, from breathing life into herself and the dying things around her to her Stevie Nicks obsession. At first she is presumed to be simple, country folk. Misty grew to be able to hold her own. Fiona gets sicker as the season progresses. Eager to find the secret to eternal life she seeks out famed voodoo priestess Marie Laveau (Angela Bassett), an enemy of the coven. Laveau made a deal with the voodoo devil Papa Legba (Fringe's Lance Reddick) to stay young forever. In another attempt to uncover the secret of eternal life she releases the entombed body of Delphine LaLaurie (Kathy Bates), a famously sadistic New Orleans resident from the slave keeping days. Who Laveau has enchanted to persecute for eternity since she maimed her love Sebastian, transforming him into a minotaur. Still unable to uncover her desired fountain of youth brings Delphine back to the coven and puts her to work as a maid and gives her to Queenie to use as she sees fit. Here in is the premise of the series. Fiona searches for the new supreme, and starts to kill anyone she thinks it may be and makes many deals to preserve her future. A witches council is introduced, a type of governing body for the coven, and a slightly unhinged butler serves on. Each week a new power is discovered and we take another step closer to seeing who the new supreme will be. However, season 3 has been a tame season in comparison to the two it followed. Horror light, or diet horror story. I thoroughly enjoyed it, but apart from a couple of snips in the tale end of the series there wasn't a lot of toe curling moments for me. Who would have thought that all this twisted horror would come from Ryan Murphy, the same guy who brought Glee to the world... I suppose his dark thoughts have to go somewhere! Planning is going ahead for Season 4, all we know so far is that Jessica Lange is learning German, it will be set in 1950s America and that it is a period peace. Internet rumour is rife... with the main guesses being Circus and Roswell... what do you think?